An Istanbul court on Friday handed down life sentences to 57 air force cadets and aggravated life imprisonment to six others for their alleged role in a failed coup attempt on July 15, 2016, the state-run Anadolu news agency reported. The 28th High Criminal Court in Silivri acquitted two suspects while ruling for the continued imprisonment of 63 defendants. In January, another İstanbul court ruled for aggravated life sentences for 23 military members and life sentences to 35 military personnel for attempting to change the constitutional order by means of the coup attempt in July 2016. Acquitting 35 military members, the court also sentenced two officers and a cadet to three years for insulting President Recep Tayyip Erdoğan. The air force cadets said they were taken to Istanbul in buses from Yalova and that they did not know they were part of a coup attempt. The cadets said the only surprising thing on July 15, 2016 was an unplanned morning visit by Air Forces Commander Gen. Abidin Ünal to their training camp in Yalova. Turkish media reported claims that during a speech to cadets in Yalova on July 15, Ünal underlined the importance of carrying out the orders of their commanders. Silaha el sürmeyen, birinin babası şehit olan üç harbiyeli kıza müebbet verildi. Turkey survived a military coup attempt on July 15, 2016 that killed 249 people and wounded more than a thousand others. Immediately after the putsch, the Justice and Development Party (AKP) government along with President Erdoğan pinned the blame on the Gülen movement. 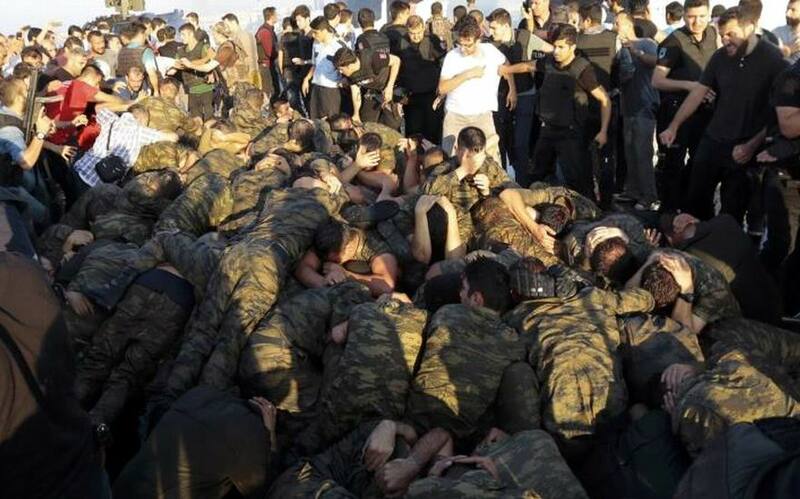 The ruling AKP government dismissed 24,977 military members including 150 generals, 4,630 officers, 2,167 noncommissioned officers, 1,210 specialized sergeants, 411 civil servants and workers, and 16,409 cadets following the failed coup over alleged links to the Gülen movement.